Earlier this year Benelli officials revealed the roadmap for the company’s product launches planned for 2018. The 2018 Benelli Leoncino will be showcased at the upcoming 2018 Auto Expo along with the TRK 502 and the Imperiale 400. The neo-retro styled Leoncino will be brought in as CKD and certain parts will be manufactured locally to keep the final cost in check. 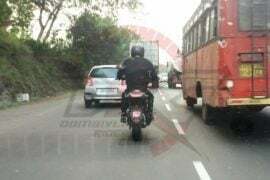 The 2018 Benelli Leoncino was spotted initially in Pune mid last month. 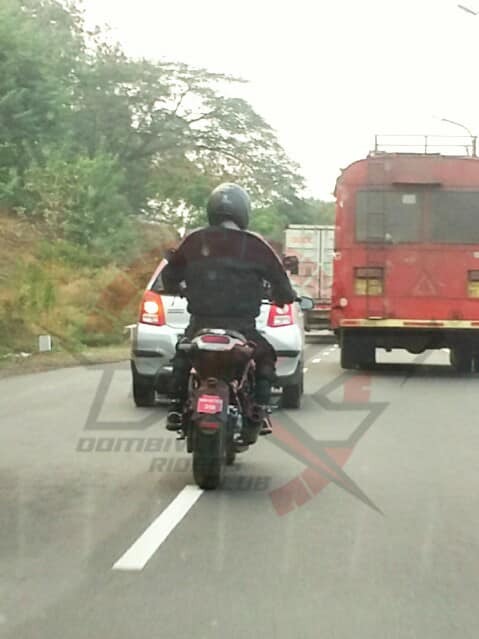 The spied bike was seen sporting a saree guard and had the registration plate on the rear tyre hugger. The latest batch of spy shots comes from a group of Mumbai based bikers called Dombivali Riders Club who actually mistook the Benelli Leoncino for Husqvarna Vitplien 401. The latter is expected to launch in India by 2020. hence, the testing has not started locally yet. Benelli plans to launch the Leoncino in the coming months but the officials failed to comment on the exact date of launch. 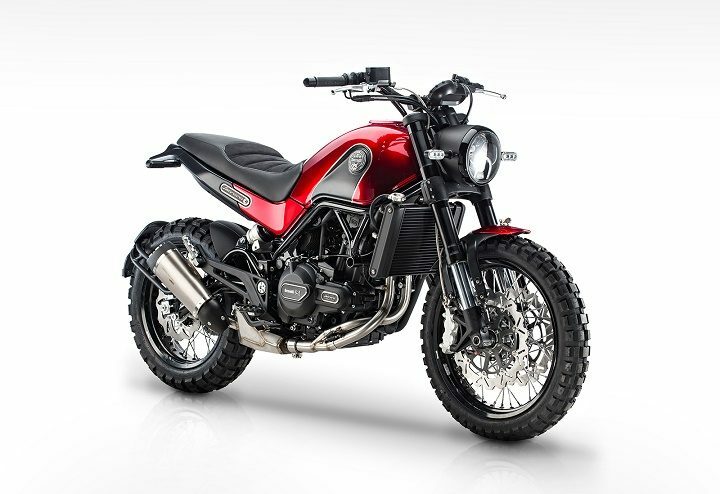 The company plans on launching on the street going version as of now and might bring in the scrambler version later according to the demand. Upon launch, the Benelli Leoncino will be the cheapest scrambler on sale undercutting the Triumph Street Scrambler and the Ducati Scrambler by a considerable margin. Expect the 2018 Benelli Leoncino to be priced around INR 4.5 to 5 lakh. The final price will be released post-launch, stay tuned for more info. The 2018 Benelli Leoncino shares its engine with the TRK 502 i.e. the 499cc twin-cylinder, liquid-cooled parallel twin engine that has an output of 49.6 bhp @ 8,500 rpm and 45 Nm of torque @ 5,000 rpm. The engine comes mated to a six-speed gearbox featuring wet-type clutch. The bike features a tubular steel-trellis frame and rides on 17-inch wheels at both ends. Choice of rubber remains the Pirelli Agnel ST with the front and rear featuring size of 120/70 and 160/60 respectively. The 2018 Benelli Leoncino features USD forks up front with 50mm travel and a monoshock at rear with 112mm travel. The bike weighs 207kg with a seat height of 785mm making it more accessible to physically diverse riders. The fuel tank holds 13.5-litres worth of fuel which might restrain the rider to city limits or stick to only certain highways with frequent fuel stops. The Leoncino features LED lights all around and even the instrument cluster is all digital. Braking comes from disc brakes at both ends with the front and rear featuring 320mm twin-disc and 260mm single disc respectively. ABS will be offered as standard on the bike. The bike will come with a 2-year standard warranty upon launch for hassle-free ownership.